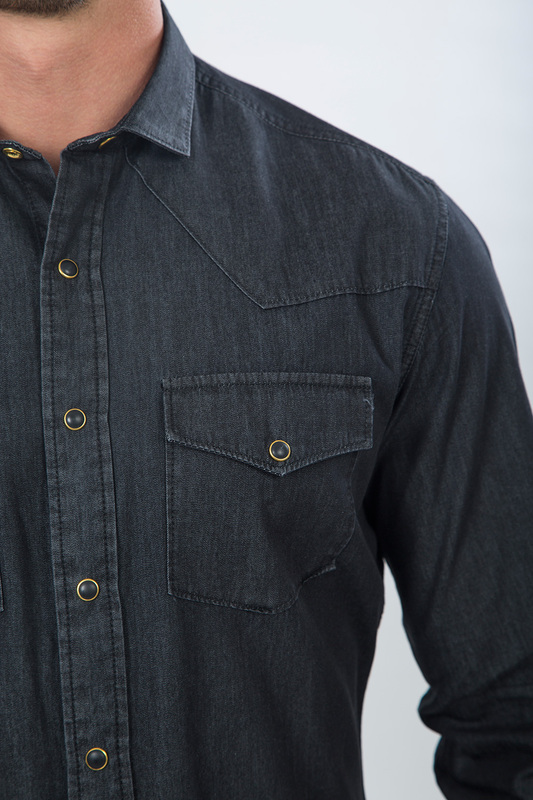 This denim in charcoal with black pearl buttons is a popular shirt and for good reason. It fits comfortably over the shoulders and chest and will continue to look great after each wear. 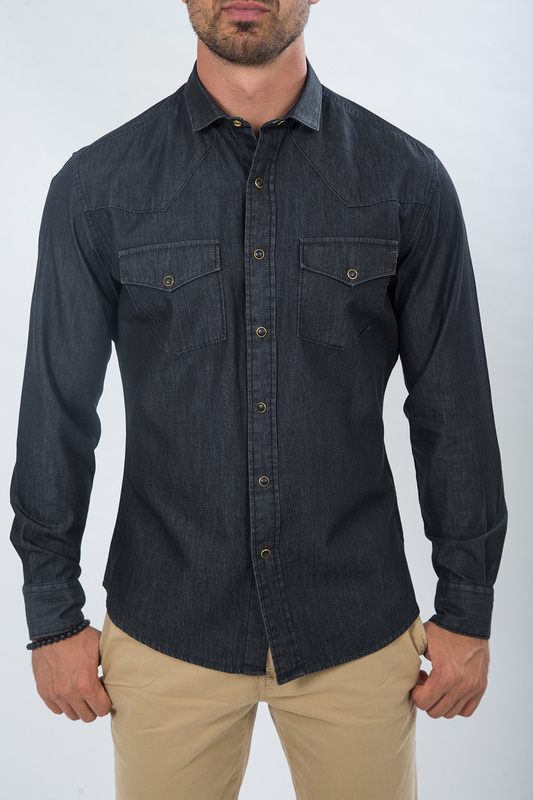 Wear it with your favorite tee or simply on its own.